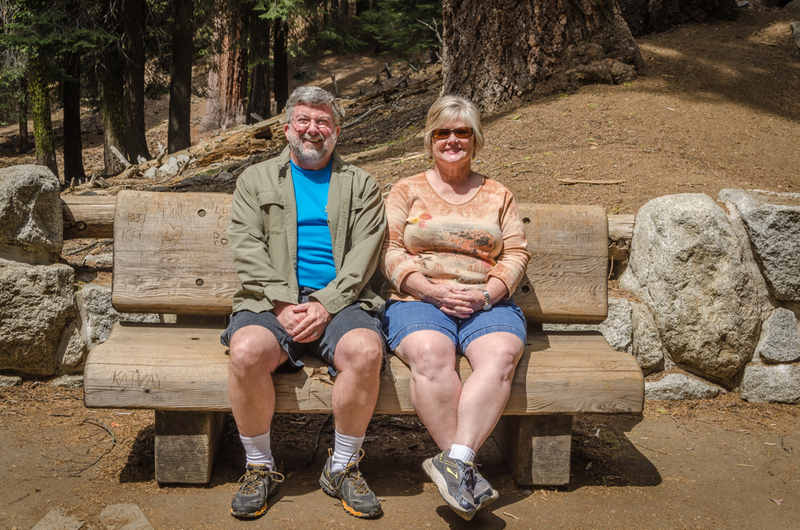 Enjoying a beautiful day in Sequoia National Park! We completed the circuit today of visiting the national parks near Fresno. Today we drove through Sequoia National Park. It has been nice to visit all the nearby parks and monuments that have groves of giant sequoia trees. Ed is dwarfed standing in front of General Sherman! Today we saw probably the most famous giant sequoia. 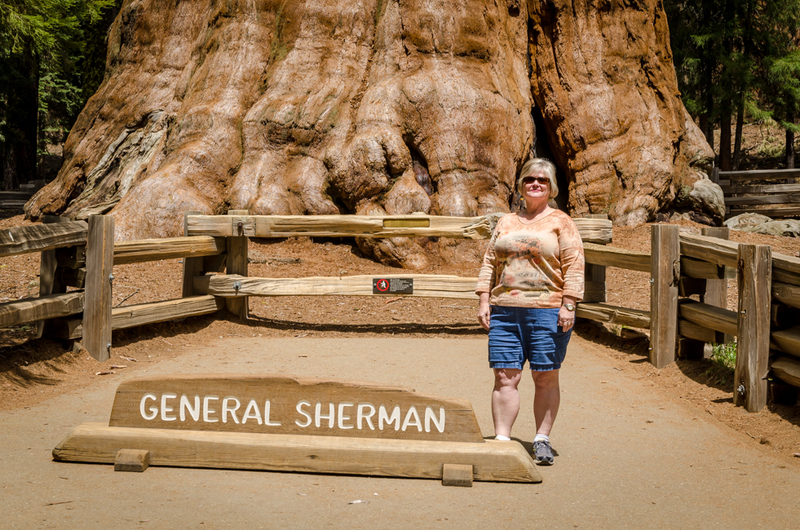 It is General Sherman. There is a big plaque in front of the tree. It is the largest tree in the world. 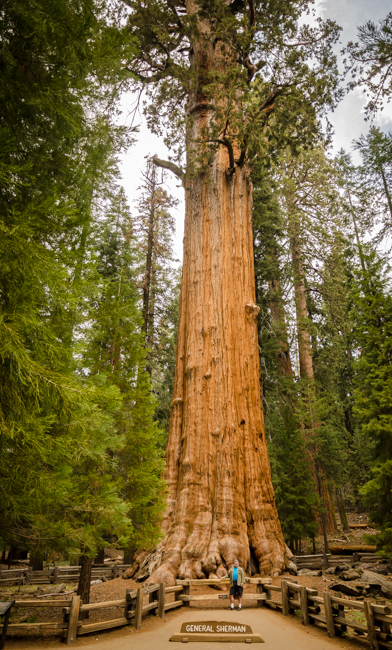 It is not the tallest or the widest, but with its height and width, it has the largest volume of any tree in the world. It is certainly impressive to admire it. 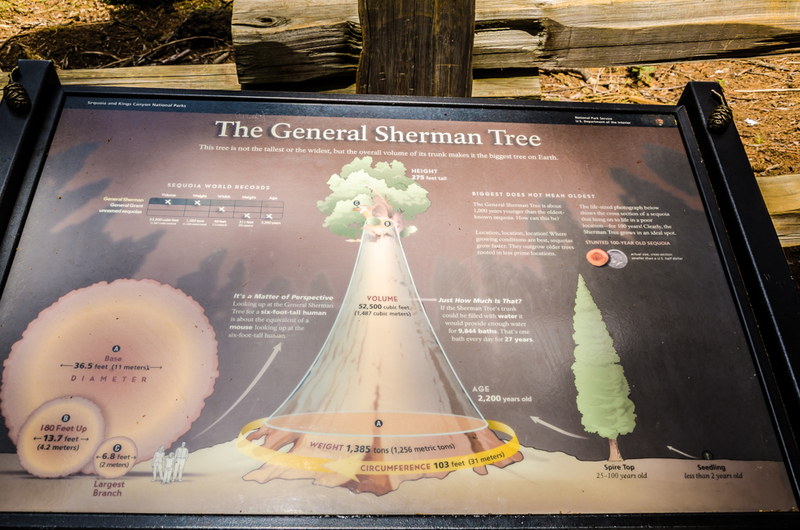 We liked seeing the giant sequoias in all 4 locations we visited (Giant Sequoia National Monument Southern Unit, Kings Canyon National Park, Giant Sequoia National Monument Northern Unit, and Sequoia National Park). 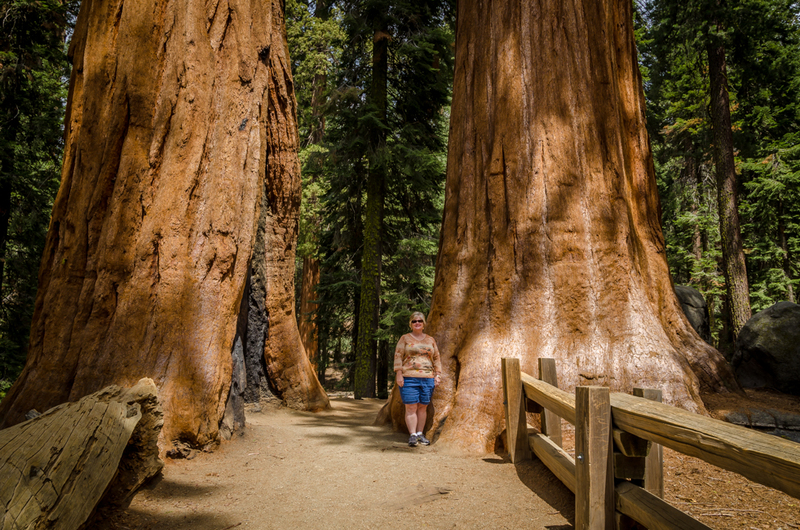 However, our favorite was the Trail of 100 Giants in the Sequoia National Monument Southern Unit. This had a large number of giant sequoias close together that you could actually touch and walk around.